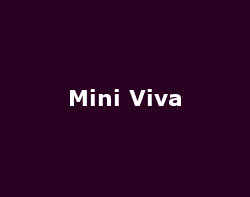 Mini Viva came out of nowhere last year to storm the UK charts for four weeks with their magnificently infectious debut single Left My Heart In Tokyo. They left the charts with a lot of new followers and on the cusp of releasing their debut album they have given us another slice of unadulterated joy with One Touch. The song is even more catchy than their previous offerings with some absolutely killer disco hooks. The vocals are so studio polished that they actually encapsulate that annoying term Bubblegum Pop. It is a sure-fire song for filling up dance floors and put people in a good mood when they hear it on the radio. Each chorus is a staggering collection of perfect pop beats, rising synths and deadpan vocals that melt together in a nigh on perfect way. They wont win any Ivor Novellos in a hurry but this fantastic group are practically guaranteed hit singles and albums with tracks of this quality.